Hey there! I’m Paul Wakim, Owner & CEO of Fly Over Properties LLC. I work with you to ensure your vision comes to life. We use the latest in drone technology to provide you with views that will be sure to make you stand out. 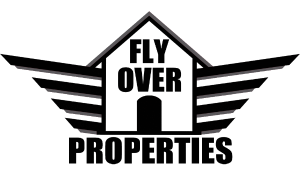 Fly Over Properties works with real estate properties, commercial development firms, weddings, and more. Our other services include stabilized interior walkthrough video and interior photography. We use top of the line editing software to provide you with beautiful visuals. Our average turnaround time for a completed project is 24-48 hours, so we’re totally up for your last minute, urgent ideas! Whatever you need, we deliver. Throughout the project, I’m available to you for 24/7 communication, revisions, and more to make sure you get what you expect. Give your property or business a new and unique perspective with Fly Over Properties!